Need a bus? There’s a catalog for that.Of course there is. 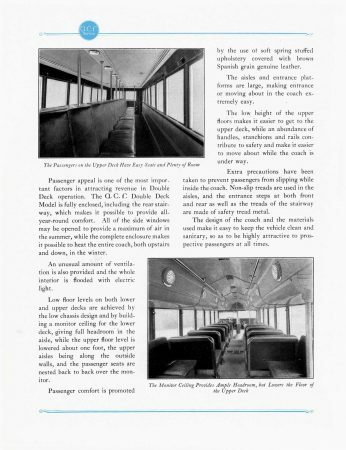 This 1928 catalog from American Car and Foundry showcased a range of intercity vehicles boasting the latest refinements, like distributed heating to passengers. Their double-decker bus is a standout, though, simply because it’s a double-decker. 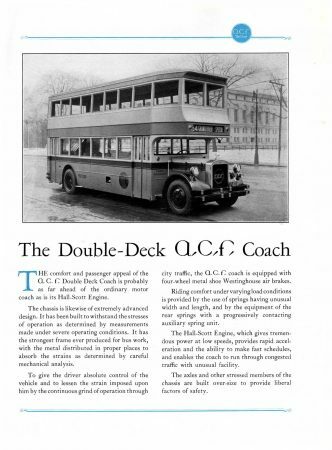 Why double-decked buses have thrived in England to this day but never met much success in America, is a mystery to the author. Double-deck buses are just so…cool and entertaining. Sitting upstairs would surely turn even the most prosaic trip into a real excursion. 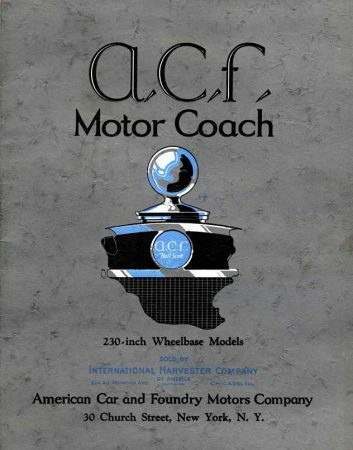 The ACF edition includes electric cabin lighting and genuine Spanish leather seats. ACF also offered what appeared to be a pioneering gas-electric hybrid bus in the same catalog – a truly innovative product which was probably a bit ahead of its time.